Size 5 in. L. and stretches to 10 in. L.
This legendary creature is a part of Chinese mythology that portrays power, strength, and good luck. 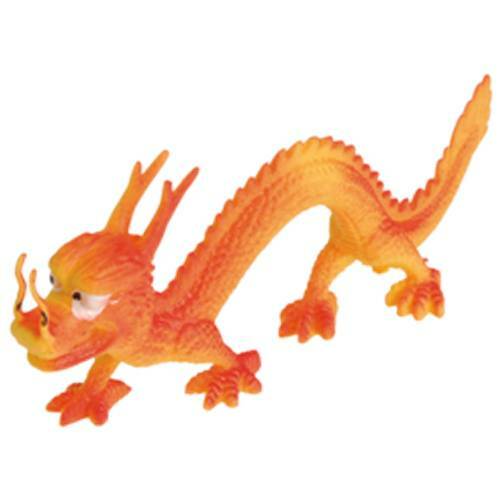 Use this Chinese dragon figure to decorate for Chinese New Year or any Far East themed party. This toy stretches and features realistic detailing.